The end of the Radio Shack era leaves behind years of consumer electronics memories that include Realistic Solo 4s, walkie-talkies, early cell phones, and the battery card. As I age gracefully through my sixties, how many more icons of my youth can I stand to lose? For example, I really miss Howard Johnson’s 28 flavors of ice cream and “sweet as a nut” fried clams. Radio Shack, at least in its original form, is the latest to go and this one hurts. Like Howard Johnson’s it was born in Boston and died nationally.Those scrumptious chicken croquettes with yellow gravy notwithstanding, HoJo’s didn’t have a huge impact on my career journey in consumer electronics. Radio Shack did. I’m pretty certain it somehow impacted just about every baby boomer that reads this column. Radio Shack started in 1921 (HoJo’s started four years later) near the sight of the Boston Massacre with the goal of becoming the place to shop for the new and booming amateur (or ham) radio business. By the time World War II was raging, the Shack had nine stores, a strong lineup of private brands and a burgeoning mail order business. In the mid 1960s they fell on hard times and were purchased for a song by the Tandy Leather Company. Déjà vu? Those mid-60s were when my love affair with Radio Shack began. I built my first short-wave radio, an Archer Globe Patrol, in 1964. It had vacuum tubes, you whippersnappers. My first Hi-Fi purchase was in 1966, a pair of Realistic Solo 4s, one of the best selling stereo speakers of all time. Later that year I replaced a mono amp I extracted from my mom’s Stromberg-Carlson portable record player with a 10 watt Realistic solid state (hard wired transistors, no integrated circuits) amplifier and a Radio Shack turntable made by BSR. How cool was that? By the time I got to Boston University in 1967, I’d outgrown the Shack even though there was one smack in the middle of campus. But the Shack didn’t need me or my Yamaha/ADS/Nakamichi-loving audio snob buddies to prosper. By the mid-1980s there were 7,000 Radio Shack stores on the planet. According to Andrea Butter and David Pogue’s book, Piloting Palm, over 90% of all Americans were within five minutes of a Radio Shack store. The Shack in the 70s and 80s was the McDonald’s of the emerging and wonderful world of electronics. They had vanquished (Lafayette Radio) or bought (Allied Radio) all the competition. People just wandered in all the time. Blank audio and video tape? Headphone jack? Wire? Batteries? Beepers? Radio Shack had it all. Two questions. How many of you working in stereo stores in that span routinely sent customers to Radio Shack for that obscure SKU your store didn’t stock? And, did you have a Radio Shack battery card? Steve Wozniak did. While we’re on the subject of early computers and computer geeks, remember the TRS-80 circa 1977? Believe it or not, as the 80s dawned, Radio Shack was number one in home computer market share. The same was true with CB radios during their late 70s boom. That led Radio Shack into pioneering the Family Radio Service (FRS) walkie-talkies that were likely under a Christmas tree near you somewhere over that time. As much as Radio Shack seemed a natural to evolve into becoming the place for mobile phones, it never panned out all that well. With that disappointment came the beginning of the decline. I blame all the carriers who back then saw every retailer—be they Radio Shack or Phil’s CB & Bait Shop—as a necessary but temporary means to a more sinister end. The quality of the staff started to go downhill about the same time. It was also when the “You’ve got questions, we’ve got answers” advertising tagline first appeared and was promptly mocked. No disrespect meant, but the Shack’s help near the end was on par with the average bag boy or burger flipper. Plus that annoying procedure of insisting on your name and address with even the purchase of a roll of solder. What did they do with all those names anyway? I have one last nugget on this wistful voyage as I bid adieu to an icon of my years—Incredible Universe. Wow! What an over-the-top concept for a retail store. It was the perfect match for the go-go Clinton years. If you never had a chance to visit one of the stores over the chain’s astonishingly short four year life span (1992-96), you missed something, well, incredible. Astounding then and still remarkable today. There was an actual performance stage smack in the middle of these massive (185,000 square feet—by contrast the average Walmart Supercenter is 102,000 square feet) buildings. It was used mostly for product demos but live performances were often held there as well. There were as many as eight sound rooms, computer centers that did while-you-wait upgrades, Pizza Huts and licensed day care facilities. As you might suspect all this overhead in the dog-eat-dog race-to-zero low margin world of consumer electronics hastened their departure from the retail landscape. A short but very cool ride. Society has changed, some would say evolved. Either way, retail has changed with it. The rumor, still floating around as I write this, that Amazon will take over as many as 1,000 stores is an ironic bookend to the Radio Shack story. Will that work? No one knows. Same with the Sprint deal on the table having them take a role in over half of the 4,000 stores. Is the number three mobile carrier (and their equity partners) assuming all that liability a good idea? I would bet against it. That said, we still have the memory of the Shack’s 2014 “The Eighties Called” self parodying Super Bowl ad. To most, one of the 10 best ever. 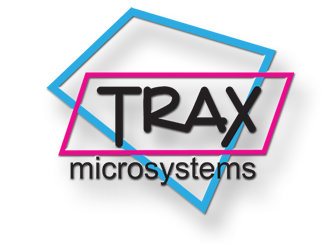 Herzlich willkommen bei Trax microsystems!